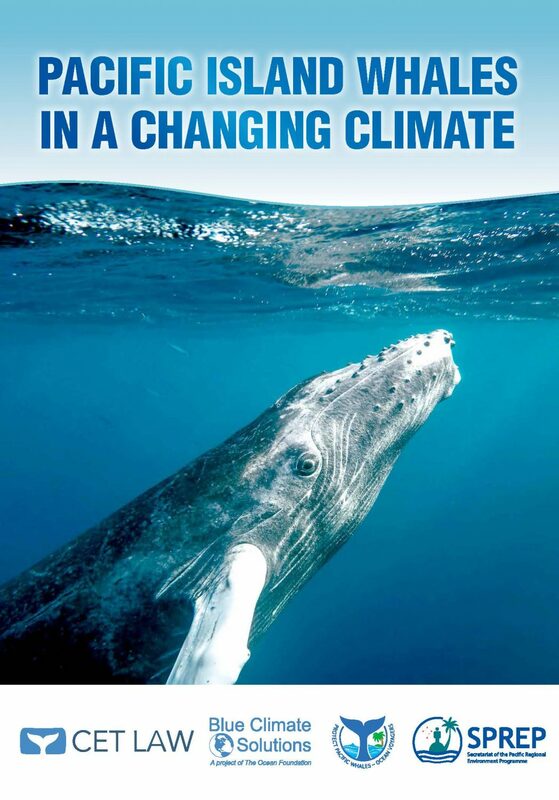 Blue Climate Solutions and Cet Law have co-authored a report, Pacific Island Whales in a Changing Climate. The report addresses the impacts of climate change, potential consequences of climate change on Pacific island whale populations, the role of whales in climate change mitigation, and the potential effects on the whale watching industries, which bring significant income to the Pacific island economies. A draft of the report was presented at the “Whales in a Changing Ocean” conference in Tonga 4-6 April 2017. The report was released at the UN Ocean Conference in New York 5-9 June 2017 by the Secretariat of the Pacific Regional Environment Programme (SPREP).